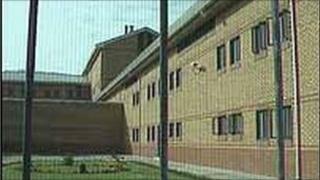 Doncaster Prison is to become the first in England to be run on a "payments by results" basis, it has been announced. Justice Secretary Ken Clarke told the Commons that contractor Serco would only get its full payment if it reduced reoffending rates by 5%. The Prison Officers Association (POA) condemned the plans, which also included the privatisation of three other prisons. POA General Secretary Steve Gillan said industrial action was being considered. He added: "This is a disgraceful decision which is politically driven and morally repulsive." Outlining the payment-by-results system, Mr Clarke said 10% of Serco's new contract depended on the prison cutting the reconviction rates of offenders a year after they were released by 5%. "Payment by results is central to our rehabilitation reform plans because it means we can concentrate on paying for what works to reduce reoffending," he said. Private contractor Serco has managed the category B men's prison since it opened in 1994.